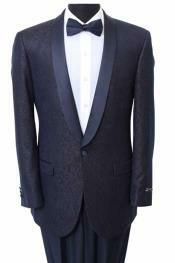 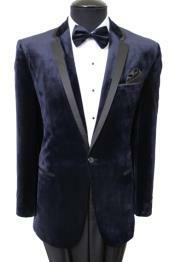 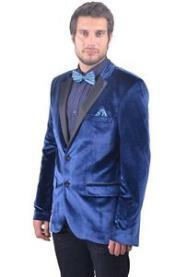 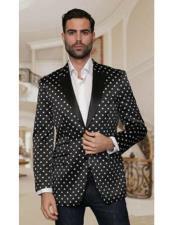 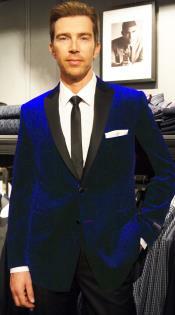 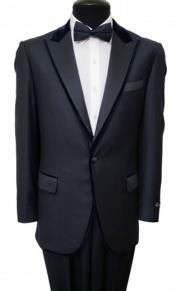 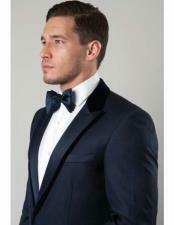 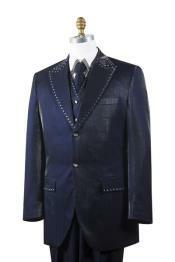 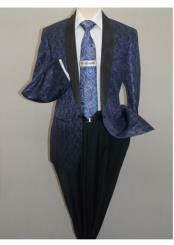 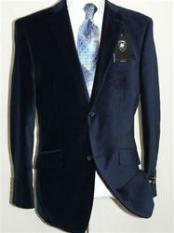 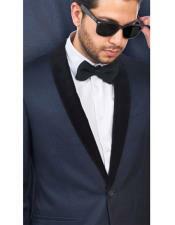 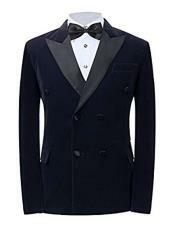 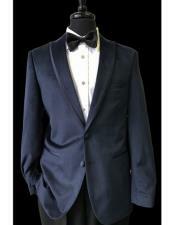 SKU#CH958 Mens Wool Fabric Navy Blue With Black Velvet Fabric Blazer Sport Coat Dinner Jacket Tuxedo Looking! 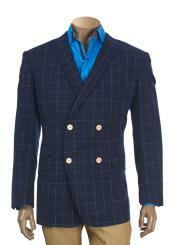 Some of the office premises still prefer men suit and blazers as it looks more civilized for the work environment. 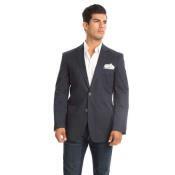 A blazer is other wise recognized as sport coat. 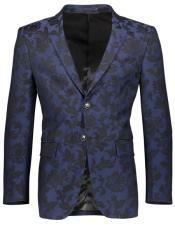 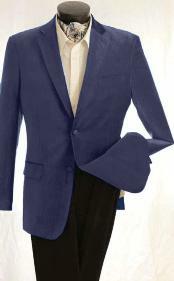 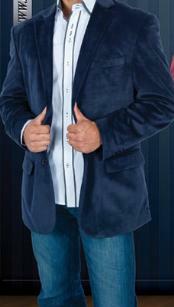 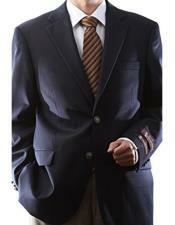 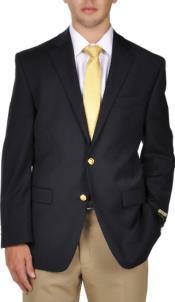 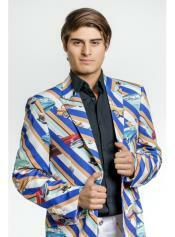 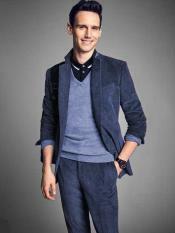 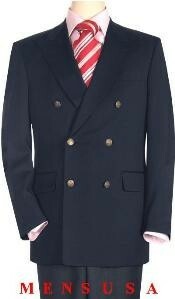 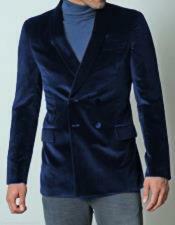 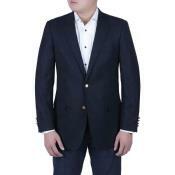 You can feel comfortable as well as have professional look with navy blue blazer. 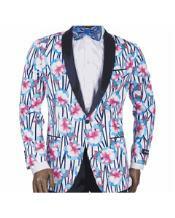 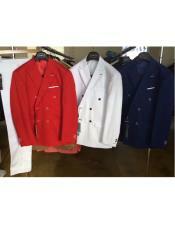 Men blazers are other wise recognized as sport coat. 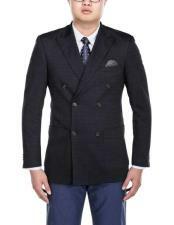 Actually lots to discover about blazers - with a tie, it is an outfit office and evening dinner; without a necktie, it appear really casual coat. 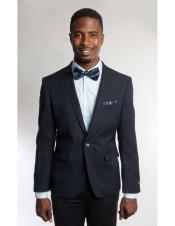 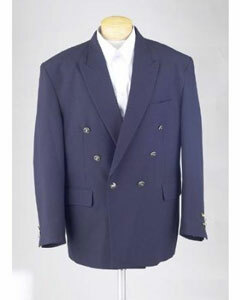 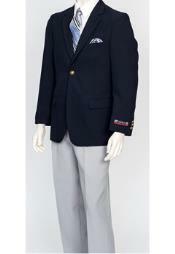 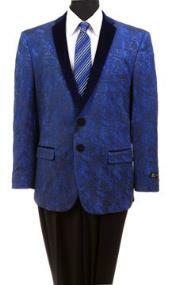 When going for two sports coats, man navy blue blazer is simply standard; you would further require a compatible shirt, pants and shoes - you will get it at Menusa.com. 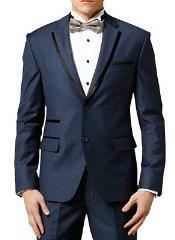 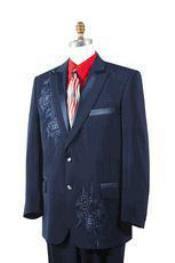 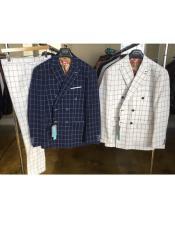 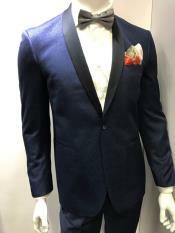 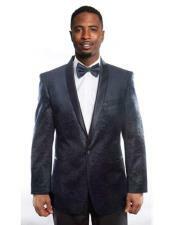 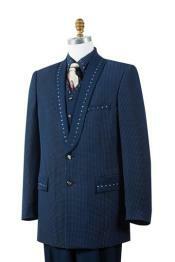 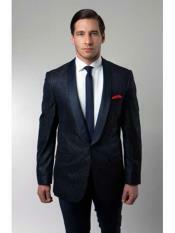 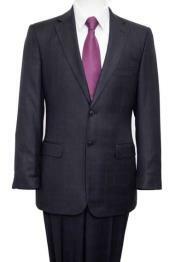 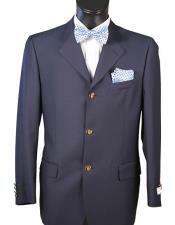 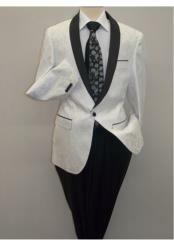 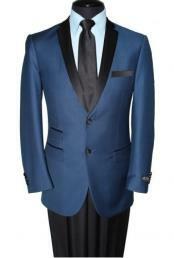 You need not worry about the affordability; we sell men suits at every possible discounted rate. 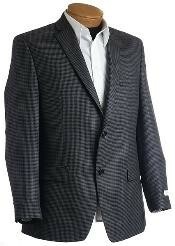 Buy it once and come back often to save lot of bucks. 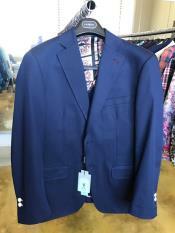 A regular man navy blue blazer is usually a double-breasted jacket. 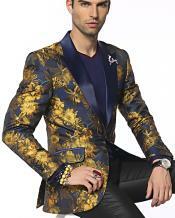 Keep in mind that a men blazer jacket comes in various styles; some are typical while other models are more chic and therefore come and go according to the current trends. 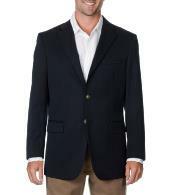 Tailoring, cutting and sewing of men's navy blue blazer as we know today, developed slowly in Europe during twelfth and fourteenth centuries. 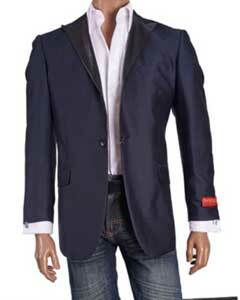 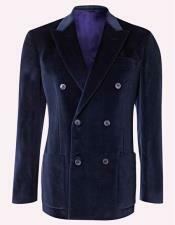 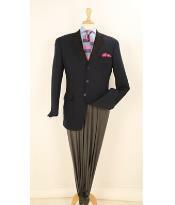 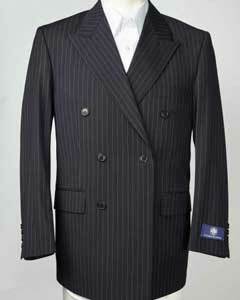 Quality cloth was always key feature of Men's blazer. 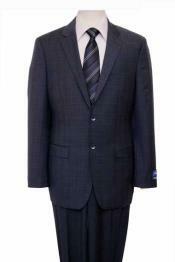 Going through the new start the prime function of clothing was to cover up the body shifted to the place whereby clothing was used to highlight certain physical features. 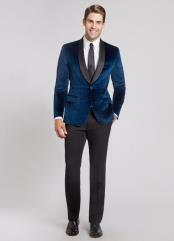 Most current blazers are made of wool. 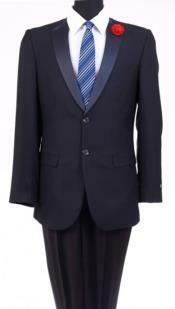 It's the most adaptable fabric, the most excellent part is comfort, wrinkle-resistant, and also has better durability than most others. 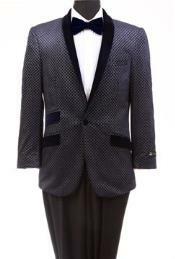 Another feature that makes wool an ideal men blazer is its skill to absorb moisture, so even when you're forced to sport a suit on a sunny days, it'll keep you cool. 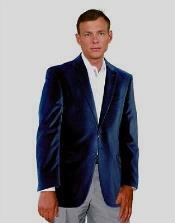 The most common types of wool suits are merino, cashmere and angora. 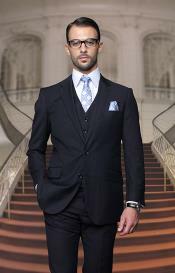 Cotton is a strong fabric found bulk in American suits; it doesn't fairly fit Europeans' fancy. 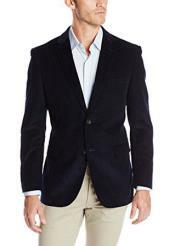 Like wool, cotton could absorb sweat and keep you chill all through most months. 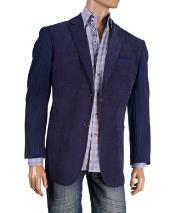 As a vast bonus, the fabric is rather practical and easy to uphold since it's machine-washable. 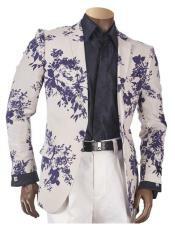 Linen might look cool while on a hot trip, but it has many drawbacks, which do not in fact fit into the modern man's everyday life. 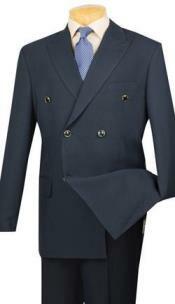 A linen suit is trivial and would keep you very cool in the heater months, but its downfall is that it folded very easily. 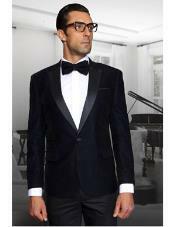 Man navy blue blazer is certainly far more reasonable and more flexible than buying men's suits, although they are preferred less.